Amazon could put its second HQ in Canada. But will it? Amazon is looking for a second headquarters in North America. But does anywhere outside the U.S. have a shot? Cities in Mexico seem to be off the table, since it doesn't appear any have submitted bids. An Amazon spokesman wouldn't say whether the company has received any. Even if Mexico was in the running, the language barrier would pose a concern, said Joseph Parilla, a fellow at the Brookings Institution's Metropolitan Policy Program. But a number of Canadian cities seem like they could fit the bill. Toronto, Vancouver, Calgary, Halifax, Montreal and Ottawa have all submitted formal proposals for the new facility. 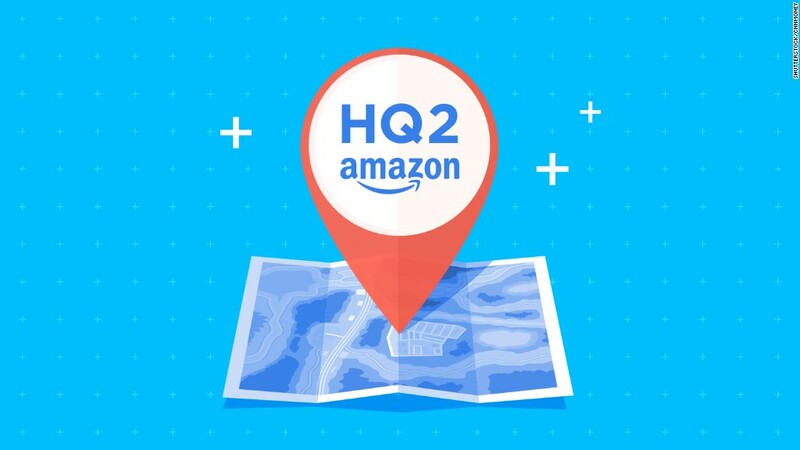 Called HQ2, it will cost at least $5 billion to construct, and create as many as 50,000 high-paying jobs. Canada could be an attractive option given both its ability to bring in foreign workers and the uncertainty surrounding America's immigration policy, said Ravi Madhavan, a professor of business administration at the University of Pittsburgh. "If [Amazon] wants to hire tens of thousands of tech employees, it has to be thinking about the visa environment. [Canada] will give them a terrific hedge," he said. "I would be very surprised if the people at Amazon would rule that out." Representatives for Canadian cities echoed that sentiment. "Canada's immigration system, with a two-week turnaround time for tech workers' visas, is incredibly welcoming," a spokeswoman for the Vancouver Economic Commission said. The Toronto region published a nearly 200 page bid for the headquarters on Thursday. It highlighted Canada's immigration policy as a major draw, and calculated that Amazon could save up to $600 million per year from Canada's universal health care system. But given the current political environment in the U.S., going with Canada would be tricky. President Trump, who campaigned on a doctrine of "America First" and promised to create 25 million jobs, has publicly derided U.S. companies with foreign outposts. He's also criticized Amazon CEO Jeff Bezos on Twitter. "I don't know if Amazon wants to get in a Twitter back-and-forth with the president, but I'm guessing if they announce that they're going to put 50,000 jobs in Toronto instead of the United States, there would be backlash," Parilla said. Sean Speer, a senior fellow for fiscal policy at the Macdonald-Laurier Institute in Ottawa, said uncertainty surrounding the North American Free Trade Agreement may also make Amazon (AMZN) uneasy. The U.S., Canada and Mexico are in the process of renegotiating the trade pact. "[Amazon] might feel safer staying in the U.S. market," Speer said. Incentive packages could also be a factor. Canadian cities may not be able to offer tax breaks of the same magnitude, said Laura Dawson, director of the Wilson Center's Canada Institute. "It's a war they have a really hard time winning, because they don't have pockets that are as deep as other [U.S.] competitors," Dawson added.